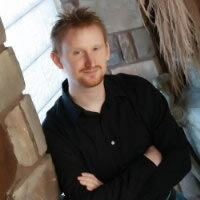 David Dalglish graduated from Missouri Southern State University in 2006 with a degree in Mathematics. When trying to be productive, and stave off returning to working fast food, he writes and self-publishes various fantasy novels, of which he’s sold hundreds of thousands of copies. He also has a lovely wife and two beautiful daughters, with all three being far better than he deserves. CLICK HERE FOR MORE SPECULATIVE FICTION BY DAVID DALGLISH. Thren Felhorn is the master of the Spider Guild, the supreme collective under which Thren has united all the thieves’ guilds in the city of Veldaren. 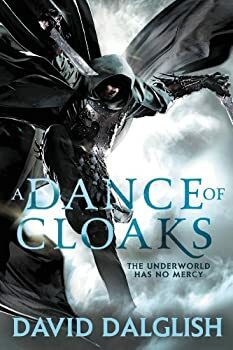 In the prologue of A Dance of Cloaks, author David Dalglish has given Thren two sons, Randith and Aaron, and placed the guilds on the brink of war with the Trifect, three wealthy families that wield most of the political power in a land where the king is young, foolish and easily manipulated. By the end of the prologue, though, only Aaron can claim his father’s favor, which he gains by one clearly filial act and one shocking act that is the act of a son only because his father ordered it. The brutal flavor of this book is thus established quickly and efficiently, and the reader knows that she is in for a story of ruthless people.